Over/Under: Under 165.5 at 1.90 Bet Now! This may be the first time that these two teams have met but it is a match-up that many people are calling the game of the week in the Euroleague. The home side suffered a narrow defeat in Turkey last week while the Russians started the season with a win over reigning Euroleague champions, Real Madrid. When it comes to big players for Bayern, it is likely that Alex Renfroe will be involved with the good things that the club offers up. Renfroe has managed to deliver a minimum of one steal in 11 of his last 12 Euroleague outings. He has also offered up at least one three-pointer in the last 9 Euroleague games he has played in. This is the sort of consistency that the top teams look for from their players and Renfroe will be a key man for the home team in this game. He isn’t the only player with good stats though as Bryce Taylor has a record of at least 1 steal in his last 8 Euroleague performances and Paul Zisper can boast of a 9 from 9 record with respect to free throws in the Euroleague. 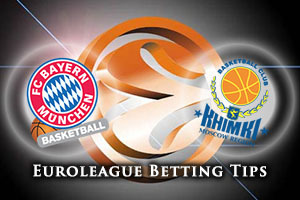 How will Khimki take to life on the road? The Moscow side will be coming into this game on a high but they know that life on the road in the Euroleague can be tough. This will be a big game for Tyrese Rice as he heads back to his former club. Rice player for the German side in the 2012/13 campaign. One player with a good run of form behind him at the moment is Egor Vyaltsev. 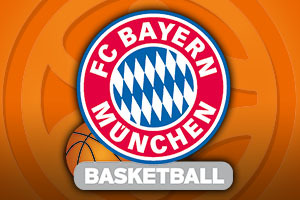 The player has a 100% record in his 7 free throw attempts in the Euroleague. It may not be the longest running record but Khimki will be hoping that he maintains and extends the record in Germany on Thursday night. The bookmakers expect the Russian side to follow up their win over Real Madrid with an away win in Munich. You can find the home team with a +4.5 handicap and odds of 1.90 for this game. If you’re keen to see the Over/Under market, go UNDER 165.5 at odds of 1.90. Bet Now!